The market for 3D printing extends far beyond the casual hobbyist. 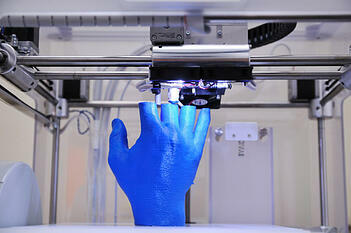 3D printing has ride ranging and useful applications across almost every manufacturing industry and sector. BCC Research’s recently published report Global Markets for 3D Printing suggests this market will reach $23.0 billion by 2023 at a compound annual growth rate (CAGR) of 22.4% for the period of 2018-2023. The following is an excerpt from Chapter 3. This section provides an overview of some 3D printing applications that cut across individual sector boundaries. Increasing competition means manufacturers must deliver new or customized products more quickly than before to meet customer demands. Delayed development or delivery can cause business failure. Three-dimensional printing enables manufacturers to meet these rapid prototyping, manufacturing and mass-customization requirements. Before a product’s production begins, a sample or prototype is often required as part of the design cycle to allow for its demonstration, evaluation or testing. The fast creation of a prototype, known as rapid prototyping, is generally carried out before specialized molds, tools or jigs are designed. Prototyping has traditionally required considerable skilled hand labor, time and expense, all of which are applied to cutting, bending, shaping and assembling any part from standard stock material. The prototyping process is often iterative, with a series of prototypes being built to test various options. In many applications, the prototyping process has been revolutionized by a technology known as rapid prototyping, in which a part or shape can be produced in a single process by adding successive layers of materials. Rapid prototyping is used to quickly fabricate a scale model or prototype of a part or assembly using 3D CAD data and 3D printing or other additive layer manufacturing technology. For example, when General Motors started to build the 2014 Chevrolet Malibu, its engineers used 3D printing to shorten the time required to prototype certain parts for the vehicle. The engineers used stereolithography and laser sintering to build prototype parts such as parts for floor consoles, front fascia and front seat back panels out of liquid resin. A similar approach can be used to manufacture production-quality parts in relatively small numbers without the unfavorable economics of a short production run. Three-dimensional printing combined with CAD has eliminated many manufacturing steps, including material-machine planning, human-machine interactions, intermittent quality checks and assembly, all of which introduce the possibility of human attendant errors. Thus, 3D printing can result in reduced production times, better process control and the ability to form functionally graded parts. It is also an attractive candidate for refurbishing applications because of low heat input, limited dilution with minimal distortion and the ability to add finer near-net shaped features to the components. Some manufacturers allow consumers to customize products using simplified web-based customization software. Consumers can then order the resulting items as unique 3D-printed objects. For example, SOLS of Long Island City, N.Y., combines 3D scanning and 3D printing to help doctors make custom foot orthotics. Because doctors can perform scanning with a free iPad app provided by SOLS, they do not need to invest $25,000 in in-office scanners. The orthotics have thin, flexible, brightly-colored antimicrobial nylon soles and leather tops. To date, approximately 15 podiatrists and physical therapists have agreed to use the system and resell the products. The products, which do not require clearance as medical devices, sell for $250-$600. SOLS believes it can apply the same technology to other products, such as padding in bike helmets. Shapeways, 3D Systems, Inc. and several other companies that offer 3D printing as a service represent another potential business model. Shapeways currently serves as a marketplace for 3D-printed goods, connecting designers with buyers and then printing and shipping each order. Shapeways is also trying out certain mass-customized products, such as iPhone cases printed with handpicked, visualized sound waves obtained from SoundCloud.